We are headed into garden-reading time. Except for dealing with leaves, whether you rake or not, outdoor tasks are done (or ought to be). Here are some books that I have enjoyed over the past year. 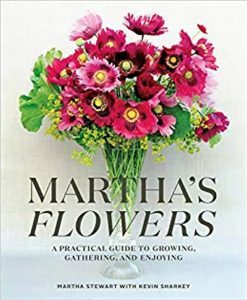 This book is everything Martha Stewart is known for: beautiful, colorful, striking and overwhelming. Over the course of one growing season, Stewart conducts readers through three gardens she owns: Lily Pond on Long Island, Skylands on Mount Desert Island and, the one featured most in the book, Cantitoe in Katonah, New York. 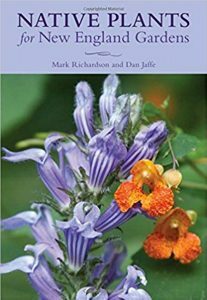 For each flower she describes the varieties she likes, how to grow it from planting to harvest, how to treat the flowers for arranging as well as how to arrange them. Stewart describes herself as the grower in these gardens, while Sharkey is the cutter and arranger. Most of the hundreds of photos in the book are of arrangements – and they are lush, even though my wife, Nancy – a flower show judge – thinks many lack creativity. In the Signs of Spring section she covers daffodils, tulips, rhododendrons and azaleas, lilacs and peonies. For Summer’s Bounty, it’s roses, poppies, clematis, delphinium, hydrangeas and lilies. For early autumn, it is dahlias, sunflowers and rudbeckia. One paragraph, in the Early Autumn section, especially struck me. Stewart says in the introduction that she has just begun work on a new garden, her seventh. That probably means a new book is on the way. 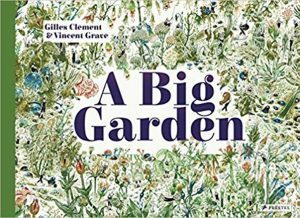 Clement describes a year in his life as a gardener, with lyrical descriptions of what a gardener does and how the plants and soil responds. More art and poetry than technical information, “A Big Garden” also displays just a bit of “Where’s Waldo?” Each month gets a page of writing on the left, including instructions to find hidden parts of a complex illustration on the right-hand page. This has the look and feel of a children’s book, but it will take an adult to understand a lot of it. Mosko is president of a landscape design company; he is also a Zen monk. 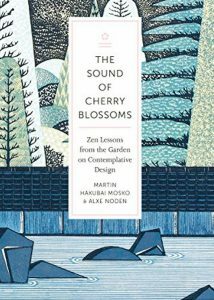 In “The Sound of Cherry Blossoms,” he explains how he uses Zen principles to create gardens where people can become more self-fulfilled. It involves meditation, which is then used to explore ideas. Mosko uses many traditional landscaping methods such as hide and reveal, taking advantage of views, and using steps or rough paths to make visitors to a garden slow down and view things. The Zen philosophy helps explain why they all work. J.I. Rodale’s 1979 treatise was last updated in 1992. Now we’ve got another update, and comprehensive barely captures its scope: it contains anything anyone would want to know about composting, on any scale, and covers updates in techniques and new sources of information. 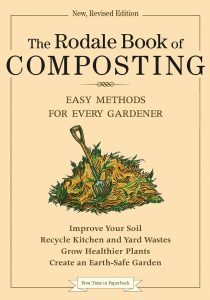 The hardest part of composting is to get the carbon-nitrogen ratio right, and the book lists the correct percentages for, well, everything people might compost. Manure is the most important ingredient of compost, Gershuny and Martin write, but they list alternatives, too. Parts of the book may already be out of date. For instance, it cites 2012 statistics saying that only 2 percent of food waste is recycled, meaning composted. Fortunately, thanks to operations such as Portland-area Garbage to Garden, which started after 2012, those numbers are increasing. 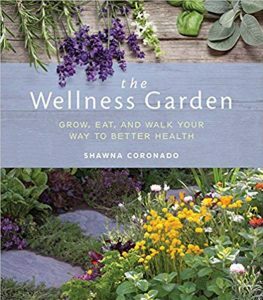 “The Wellness Garden was actually published in 2017, but after my books roundup appeared last November, so I’m sneaking it in this year. In 2015, when Coronado finished harvesting 3,000 vegetables from her garden, donating 500 pounds to a food pantry, she found she was unable to move. She hadn’t merely pulled a muscle – it turned out she had severe degenerative osteoarthritis of the spine. In “The Wellness Garden,” she describes how she regained her health. She learned to eat better, walk more (in gardens and elsewhere), change her gardening methods – and enjoy her garden in different ways. She writes, for instance, about comfort gardens, where seating areas are placed near native grasses that make calming rustling sounds in the breeze or exercise gardens, where the distances between plants or other features are measured out to let people can know how far they have walked. All gardeners know their hobby is healthy. Coronado helps explain why.